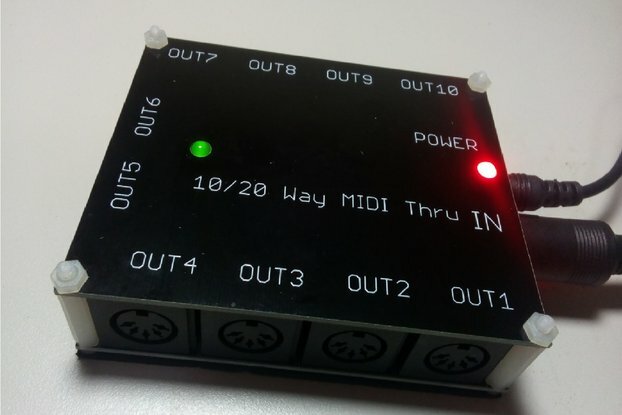 This is a bare PCB for the MIDIpal MIDI Processor - a multi-effect operating on MIDI data! 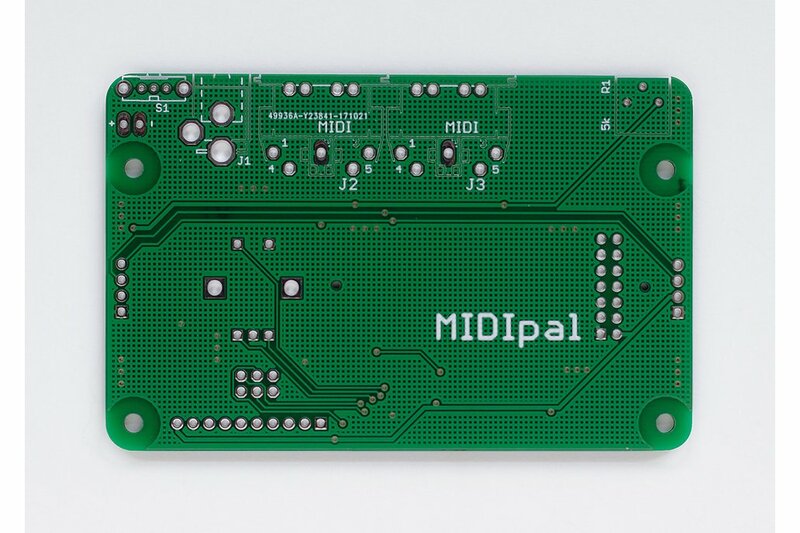 This is a bare PCB for the MIDIpal MIDI Processor - a multi-effect operating on MIDI data! It features 19 different MIDI “apps”, ranging from MIDI debugging or routing utilities (monitoring messages, remapping a channel to another one, etc.) to complex compositional tools like arpeggiators or pattern generators. Keyboard-controlled drums sequencer. Control a drum module from a keyboard by triggering and combining patterns — one for each key of a 49 keys keyboard. Create mesmerizing Euclidean drum patterns. Note randomizer: Randomize note values, velocity, and send random CC at each key press. Chord memory: Enjoy the classic chord memory feature of early 80s synths. Delay: Up to 32 echoes added after each note, transposition and velocity adjustment for creating feedback arpeggio effects, syncable to MIDI clock. Scale: Never miss a note in a solo… The scale mapper replaces each note you play by its nearest neighbour in one of the 25 preset scales. Step sequencer: The tiniest step sequencer! Up to 32 step can be sequenced, with note duration, note value, velocity, and CC control at each step. CC LFO: Generate up to 4 tempo-synced LFO and cyclic automation movements for any MIDI Control Change (CC) message. Controller: Up to 8 sensors / potentiometers (or any voltage source) can be connected to the MIDIpal board, turning it into a versatile “brain” for sensing applications. Ear training game: A fun note / interval recognition game. BPM counter: Use the MIDIpal to check the accuracy of a MIDI clock signal coming from a sequencer or drum machine. 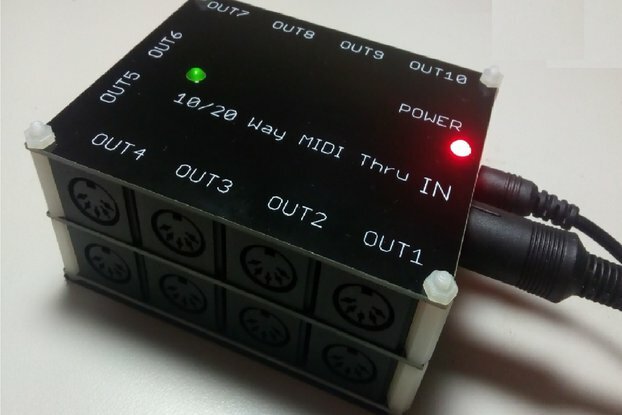 Clock divider: Create a slower subdivision of a MIDI clock.